Every child deserves to be placed with a loving family. Catholic Social Services of the U.P. has been doing just that since 1915. CSSUP makes the foster care process simple and easy. 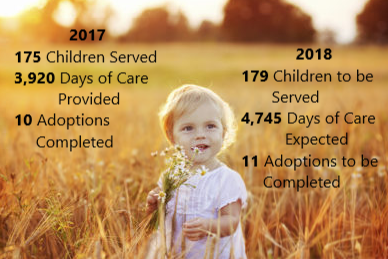 The graphic above represents the number of foster care cases CSSUP completed in 2017, and progress to date in 2018. Are you interested in becoming a licensed foster care provider?